For someone who is manifestly terrified of all the offerings in the salad bar pasta salad universe — the tri-colore, mayo-drenched, provolone-loaded, pepperoni-laden, dotted with green peppers, raisins and more often than not sugar-sweetened (oh the horror!) — I surely have some nerve presenting you with a pasta salad recipe. Truth is, I spend an incredible amount of time trying to come up with cold pasta preparations I’d find satisfying. So far, I’ve been lucky just once, with my kale pasta salad. And though I love it and it loves me back (though I’m not exactly sure how a recipe shows its love) I felt it was not enough. 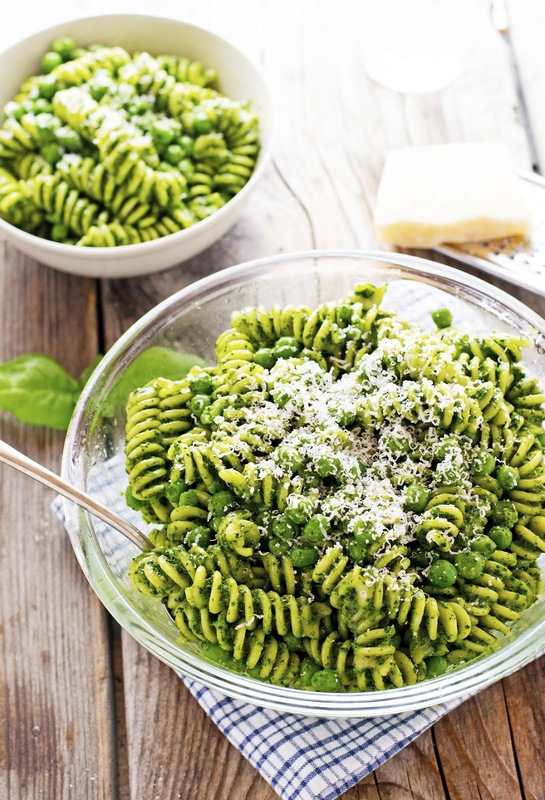 Which kind of brings me to this Spring Pasta Salad with Pesto and Peas adapted from the one and only Ina Garten (aka the Barefoot Contessa) — a name I never thought I would mention on this blog as a source. And not because I don’t respect her or her work, but because I tend to associate her (and Julia Child and Martha Stewart) with mom’s cooking, not mine. I can’t resist her pasta salad though, I think it’s one of those recipes that I believe every cook should have in their repertoire. It’s light, tasty, fresh, easy to make, and chock-full of good things for you. 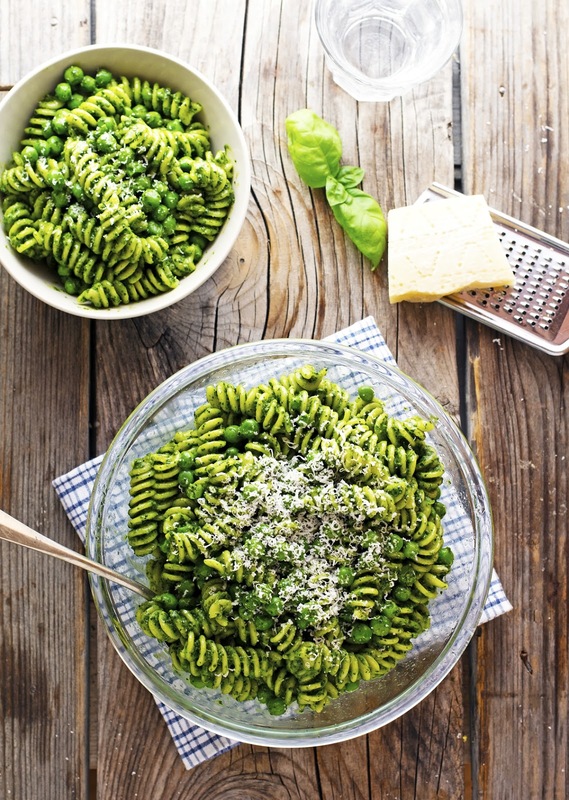 Peas, spinach, pesto, this one literally has it all. The original recipe uses mayonnaise — and though I don’t consider myself a mayophobe — I don’t think there’s any need for it. 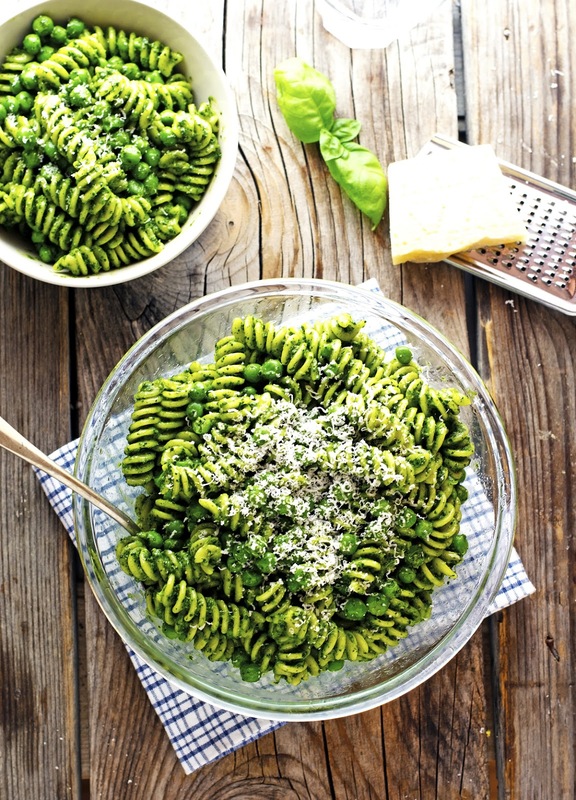 The pesto is more than enough to keep the pasta salad creamy and balanced. What I also like about this recipe is that it keeps well and travels well so you can make a big batch of it and be set for the rest of the week's lunches (or dinners). This Spring Pasta Salad with Pesto and Peas is everything those pasta salads of my nightmares are not — fresh and bright, balanced and light — and arguably the only pasta you’d want to eat on all of the spring and summer days ahead. Trust. 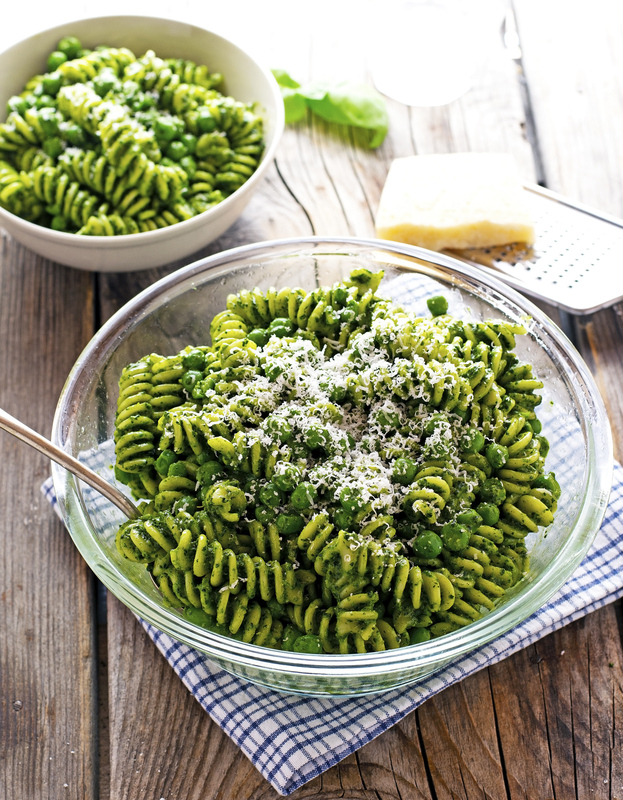 Spring Pasta Salad with Pesto and Peas Print this recipe! As with most pasta salads, the ingredients here are flexible and you can definitely add other springtime veggies to it such as asparagus, green beans or artichokes. Just promise that you’ll cook the pasta al dente (at least 1 minute before full doneness.) I like mine with quite a bite so it h up beautifully even after soaked up in the dressing for a couple hours or days. Cook pasta in a large pot of boiling salted water according to package directions. Drain, and run under cold water to stop the cooking process. Drain again. Transfer to a large bowl and toss with 1 tablespoon of olive oil. Combine pesto, spinach, and lemon juice in the bowl of a food processor. Pulse until smooth and creamy. If it looks too dry or thick, thin in out with more water. Add pesto, cooked peas, Parmesan cheese, and remaining tablespoon of olive oil to the pasta and toss to combine. Take a taste and adjust seasoning as needed. If it looks dry add more olive oil. Serve at room temperature if possible. Pasta salad can be kept for 3 days in an airtight container. One serving yields 435 calories, 16 grams of fat, 61 grams of carbs, and 15 grams of protein. I'm the same - I don't know why but I fear the salad bar pastas so much and can never bring myself to choose them! What a great recipe, loooove the vibrant color of this pasta salad! This is one of my faves from Ina as well but since my hubby doesn't like peas, I sub them out for sweet beans....Edamanne:-) Works like a charm. I'm pasta lover and always made it. This recipe made my day. Thanks for sharing!